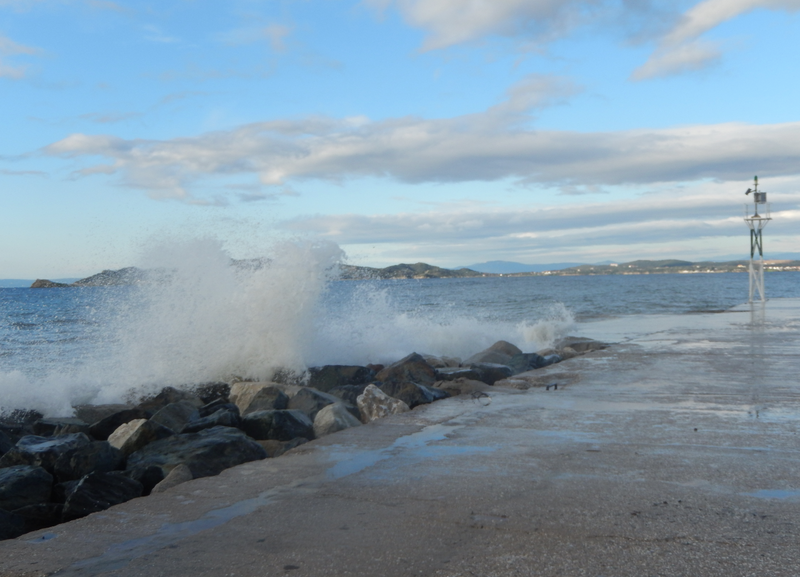 When there is too much wind the ferries and taxiboats are not allowed to sail to the arsanas (harbours) of the Athos peninsula. 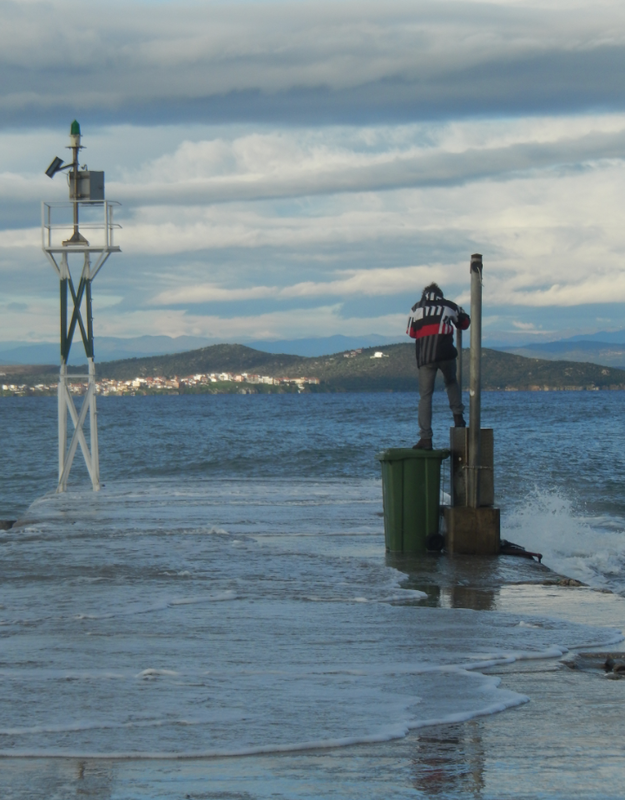 In that case the peer in Ouranoupolis remains empty and no boats are te be seen. It happened to us when we planned to go the last days of 2014. So we had to stay another day in Ouranoupolis sitting on the beach and playing on the peer looking at the ile of Ammouliani. We tried ofcourse to find a way to enter Athos anyway by maybe hiring a private boat but it was clear that there were straight rules. The pilgrimsoffice don’t provide the diamonitirion on windy days probably also to avoid that people try to make a deal at the border or with a private boat owner. 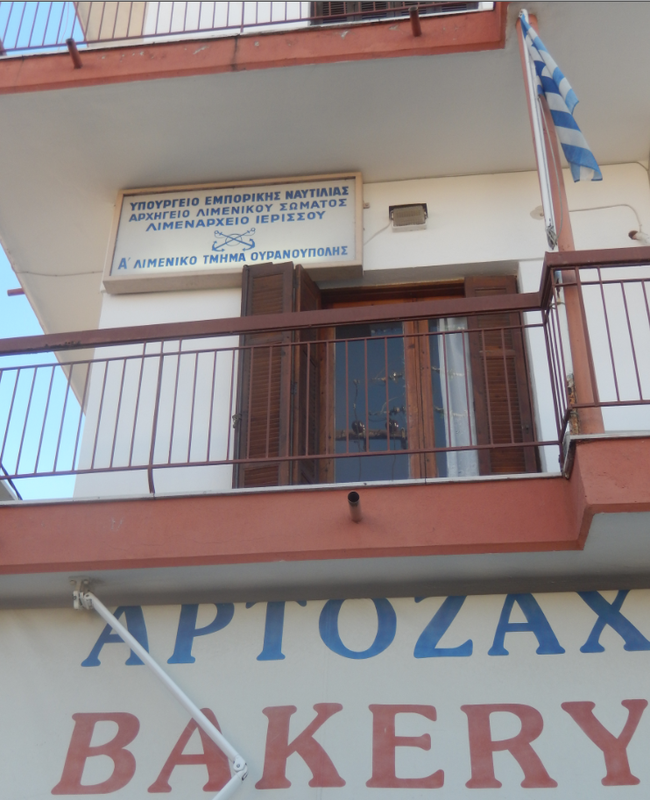 In this office above the bakery in Ouranoupolis an officer decides at 7 0 clock in the morning whether the boats will sail or not. The critical point lies in my perception round 7 Beaufort. If the wind is stronger then 7 Beaufort boats will not leave the harbours. We were very lucky that the next day the wind died down en we were allowed to go. 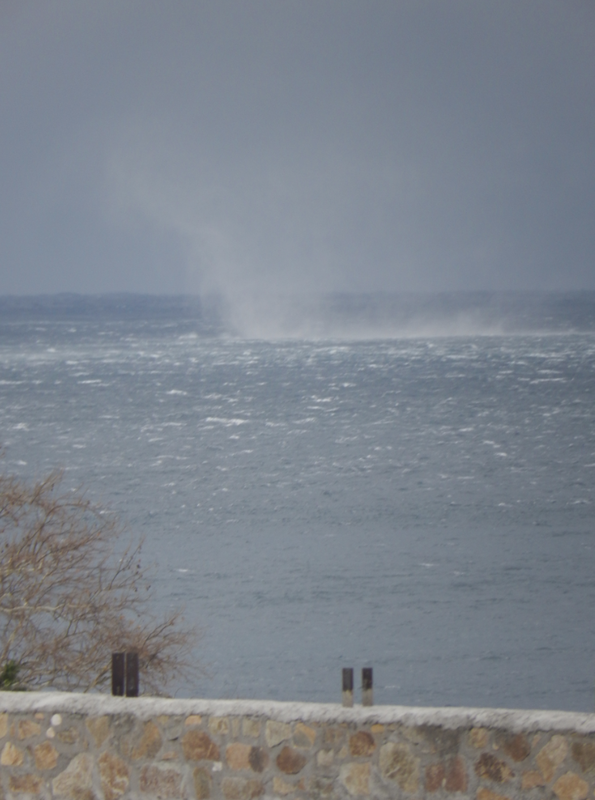 But during our trip the wind picked up again and it started to snow. Here we arriving at Dafni. At Dafni the wind was that strong that we went with a smaller boat to Gregoriou. 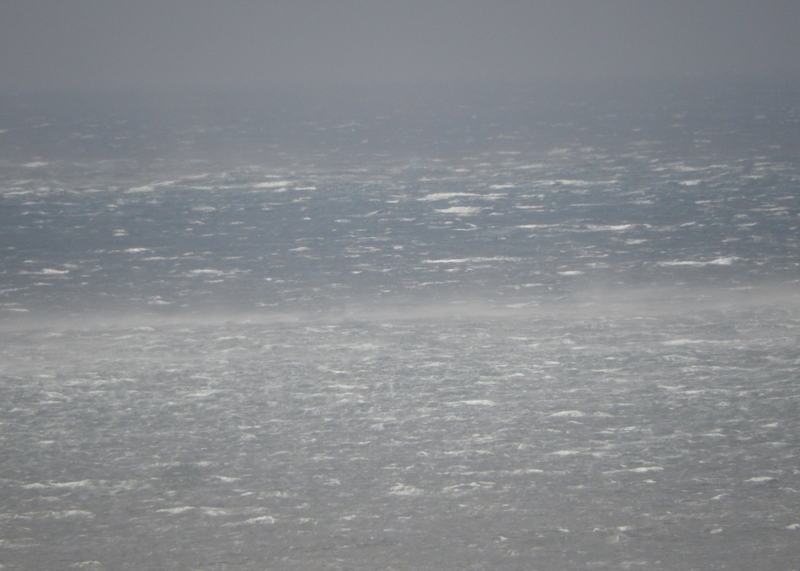 It stayed windy for two more days and boats were not sailing out. We had the good fortune that on the day that we left the weather was calm again. So always have a Plan B when visiting Mount Athos in the winter. You should always keep in mind that the wind can disrupt your plans. This entry was posted in basic information/reservations and tagged storm. Bookmark the permalink. keliotis had told me for this problem that the boats are not allowed to sail from ouranoupoli when the wind is north-west or south, up 6 Beaufort. when the wind is south or south east the boats are allowed to sail to daphni the most of the times.